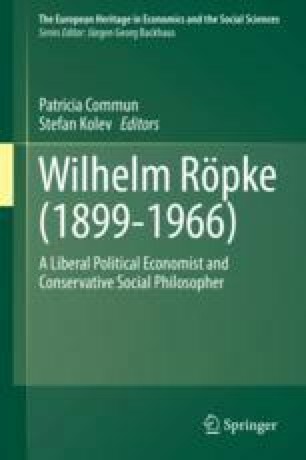 Wilhelm Röpke’s secondary depression constitutes an important approach toward understanding economic downturns. Röpke defined the destructive secondary depression as a consequence of a failed purification process (primary depression) without elaborating on their relationship. Thus, literature on Röpke’s work emphasizes the independence of the secondary depression from the primary depression and even considers this independent secondary depression as his only contribution to business cycle research. However, Grudev points out that the roots of the secondary depression can be traced back to the primary depression which itself depends on Röpke’s definition of the preceding boom. Grudev concludes that the secondary depression is an integral part of Röpke’s business cycle theory, which can be defined as a distinguishable branch of the “Neo-Wicksellian” School.